Blockchain and Bitcoin, why the confusion? 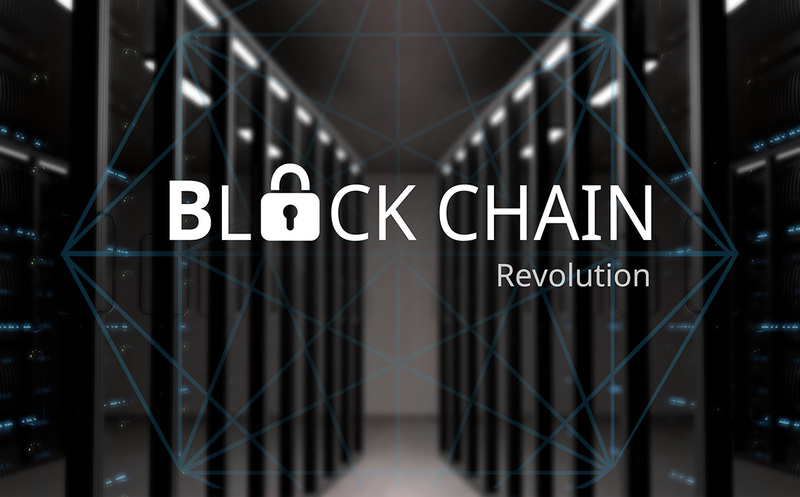 Blockchain first came to light in 2009 as the technology underpinning Bitcoin, the virtual currency devised by Satoshi Nakamoto (pseudonym), which now has a market valuation of more than 150 billion dollars. For the next few years, Bitcoin and blockchain were virtually synonymous. It wasn’t until around 2014, when Ethereum and other second generation blockchains were developed, that the concepts became truly independent. Since then, blockchain has rapidly overtaken AI and IoT as the buzzword du jour and will, if its proponents are to be believed, revolutionise everything from finance and international trade to democracy itself. So, what is blockchain, and why is there so much hype? How is it being used and what does it mean for you and your business? And is now the time for you to do something with blockchain? In the broadest sense, blockchain is the suite of technologies that allow computers in peer-to-peer networks to reach agreement over shared data. This is more properly referred to as Distributed Ledger Technologies, although the term blockchain is used by almost everyone. From a business perspective, perhaps the best way to think about blockchain is as a distributed ledger that records the history of transactions in a way that cannot be altered (and without requiring a centralised authority). Why is there so much hype? Well, the potential applications of this new technology are far reaching. In the words of IBM CEO Ginni Rometty: “What the internet did for communications, blockchain will do for trusted transactions.” And these transactions can be anything from payments, to agreements, to the rapid conclusion of any complex transaction. Before we look at some specific examples, it’s useful to understand one particular aspect of blockchain… an aspect that makes it revolutionary and explains why everyone is getting so excited. It’s all to do with the concept of trust. The internet has made global communication extremely easy in terms of distributing information, but extremely difficult in terms of establishing the truth. In any commercial context, some central authority is required (the NYSE, a government department, a corporation, a central records office) to hold the master copy of information and be the final arbiter in any dispute. In a blockchain, nobody is in charge. Every node in the peer-to-peer network has equal responsibility for establishing and agreeing the truth. This is a fundamental departure from the status quo and means commercial activity can now take place without the need for intermediaries and central authorities. This presents obvious opportunities for dramatically simplifying business processes. For example, by removing the need for trusted intermediaries, and even for transforming the value chains of whole industries. Moreover, because the record is distributed, permanent and cannot be changed, it is extremely resilient to cyber-attack. Consequently, there is a high level of trust – not just between all the parties involved but also in the shared data itself. How is blockchain actually being used today? Of course, the original and best-known example of a blockchain is the cryptocurrency Bitcoin. This is only one of many such cryptocurrencies. Other well know examples are Ether, Ripple, Litecoin, Dash and NEM.These cryptocurrencies are increasingly being used as virtual money, to pay for goods and services and to transfer value from one person to another.Also, of course, they are being bought and sold speculatively as investments (in a relatively unregulated fashion).These highly publicised examples are only the tip of the cryptocurrency iceberg.There are, at the time of writing, more than 1,350 other cryptocurrencies out there – that’s about 1,350 more than we need, so what’s going on?The answer is the Initial Coin Offering. ICO’s are a form of crowdfunding for blockchain based businesses. A new business (usually a start-up building a new blockchain network or creating a new business model on an existing network) will crowdsource their funding by issuing blockchain based tokens (or coins) to members of the public.ICO’s offer blockchain start-ups a quicker, more direct and less heavily regulated way to crowdfund their business than traditional share sales. But, I suspect, they are also largely to blame for the deluge of cryptocurrencies, coins and tokens available.Interestingly, the US based start-up Smith + Crown now provides much needed research and analysis across the breadth of blockchain start-ups and ICO’s. A smart contract is a way of recording all the details of an agreement, using the fairness and security of the blockchain.These agreements could be relatively simple (such as a simple written contract) or could be executable code to be triggered when certain conditions are met.Smart contracts could even interact with the real world via the IoT.Ethereum is perhaps the most established and best-known blockchain platform for smart contracts and there are many examples of smart contracts being implemented (e.g. in trade finance as detailed below).J P Morgan has built a smart contract platform called Quorum (using the Ethereum blockchain platform). HSBC is testing live international trade finance transactions on a blockchain letters of credit system (built on the Corda blockchain platform). RBS has built a blockchain solution for regulated mortgage transfers (also on the Corda platform). Visa has developed a blockchain based international B2B payments system (using the Chain platform). And, in the insurance industry, EY have launched a marine insurance solution (using the Guardtime KSI blockchain). IBM and SecureKey Technologies are building a digital identity network in Canada with a consortium of leading banks (built on Hyperledger Fabric). Kodak have announced plans in 2018 to launch a digital token system for photograph copyright recording. BenBen, a blockchain start-up, is addressing issues of land ownership and property rights in Africa by building a land registry in Ghana (using the BigchainDB platform). Guardtime is creating “keyless” signature systems using blockchain which are currently being used to secure the health records of one million Estonian citizens. IBM and Maersk are using blockchain to track shipping containers through the supply chain – thus decreasing fraud and increasing security. IBM are working on a high-profile project with Walmart to use a Hyperledger Fabric blockchain solution for food traceability (as seen on TV). US-based start-up Filament has developed hardware and software to enable connected devices to transact and exchange value against a blockchain. IBM launched ADEPT (Autonomous Decentralised Peer-to-Peer Telemetry) as part of its $3bn investment in IoT in 2015. Start-up Xage is using Ethereum smart contracts and Hyperledger Fabric to develop a blockchain-based security solution for IoT devices. What does blockchain mean for you and your business? Whatever your business, you need to be learning about and working with these new distributed ledger technologies. Yes, there’s a lot of hype surrounding blockchain, but this really is a case of no smoke without fire. It is going to change your industry! If you’re still unconvinced by the potential impact of blockchain, I would recommend reading Blockchain Revolution by Don Tapscott and Alex Tapscott …or, of course, reaching out to innovation@clustre.net.